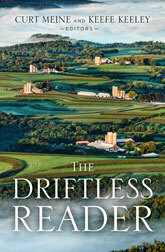 The Driftless Reader gathers writings that highlight the unique natural and cultural history, landscape, and literature of this region that encompasses southwestern Wisconsin and adjacent Minnesota, Iowa, and Illinois. The more than eighty selected texts include writings by Black Hawk, Mark Twain, Laura Ingalls Wilder, Frank Lloyd Wright, Aldo Leopold, David Rhodes, and many other Native people, explorers, scientists, historians, farmers, songwriters, journalists, and poets. Paintings, photographs, maps, and other images complement the texts, providing a deeper appreciation of this region’s layered natural and human history. Hardcover. 388 pages. 16 color and 38 black and white illustrations.